This was super yummy, quick to make and very low in fat, which is always lovely! Perfect weeknight meal! Deelish! In a small bowl, combine tamari, vinegar, garlic, cornstarch, and pepper. Mix well and set aside. Heat a wok to medium-high heat. Add tofu and cook, 2 minutes. 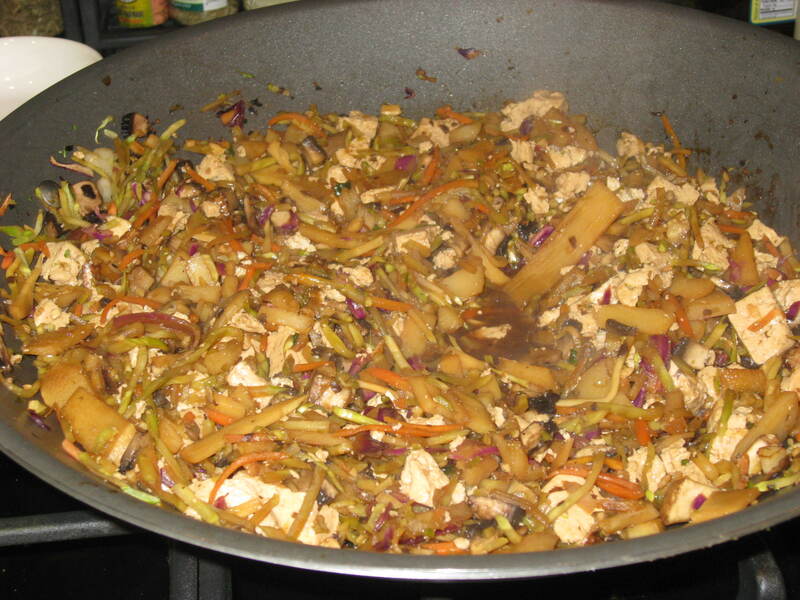 Add broccoli slaw and mushrooms to wok and, stirring occasionally, cook for 3 – 4 minutes, until veggies are soft. Add bamboo shoots, water chestnuts and sauce to the pan, mix well, and cook for an additional 3 – 4 minutes, until entire dish is hot. Remove from heat and transfer moo shu mixture to a serving dish. Set aside. Serve tortillas and hoisin sauce alongside moo shu mixture. 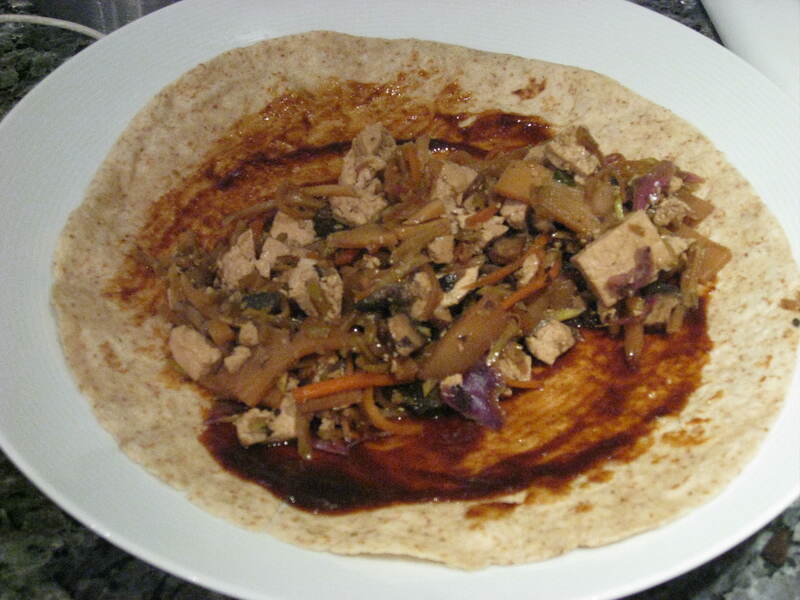 Spread hoisin sauce on tortilla and spoon moo shu mixture and wrap. Previous Marisa’s Healthy Kitchen 2nd Anniversary! Next My 30th Birthday!